It’s that time of year when we have lots of little flies buzzing around us and the fly swatters are permanently out – so what a better time to do a “fly” storytime? Shoo fly, shoo! This has great pictures and simple text. It was a hit at storytime this week. The boys especially loved the hippo rolling in the mud! This idea came from Mel’s Desk and it was a huge success! Check out the instructions for making these little guys from Mel’s Desk here (I added the eyes.) 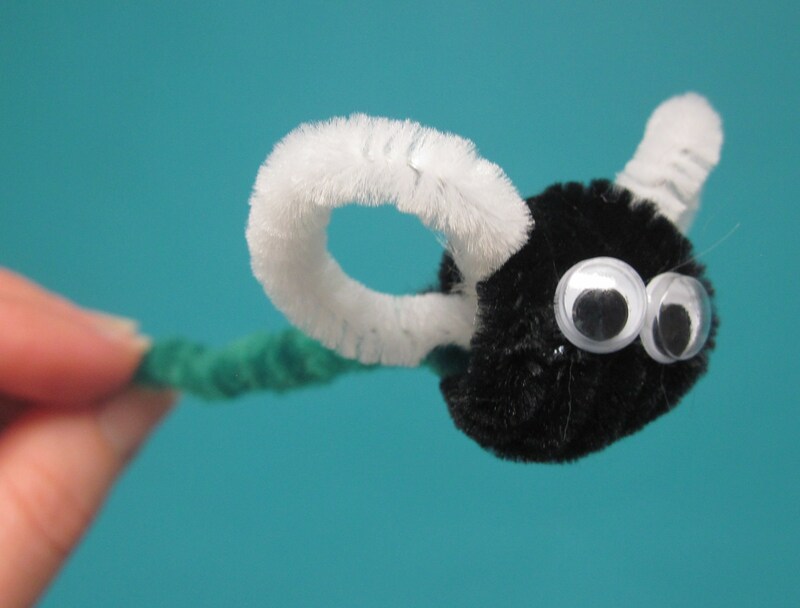 I made enough flies to hand out to everyone in storytime this week, and adults and kids loved it! Another rhyme from Mel’s Desk. 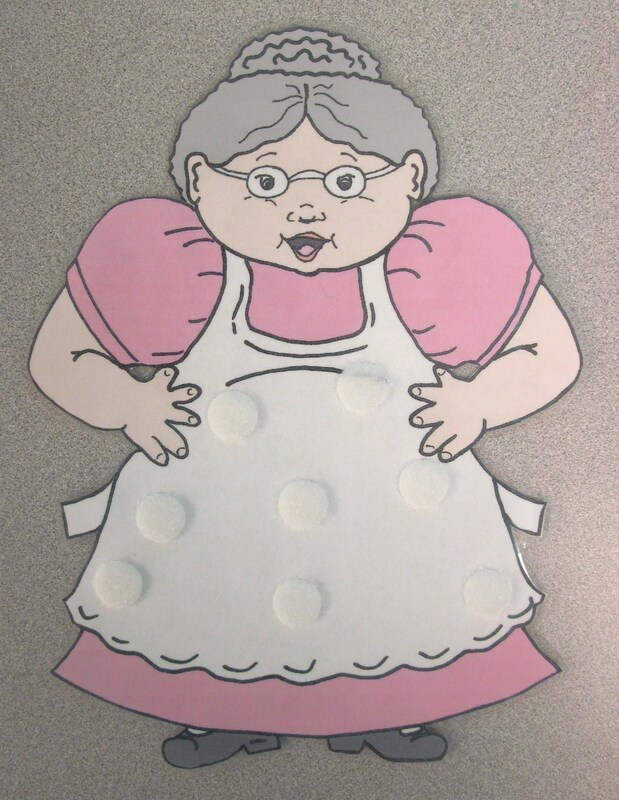 ‘There was an old lady who swallowed a fly. That wriggled and jiggle and tickled inside her. She swallowed the cat, to catch the bird. She swallowed the bird, to catch the spider…. She swallowed the dog to catch the cat…. Just opened her throat! to swallow a goat. 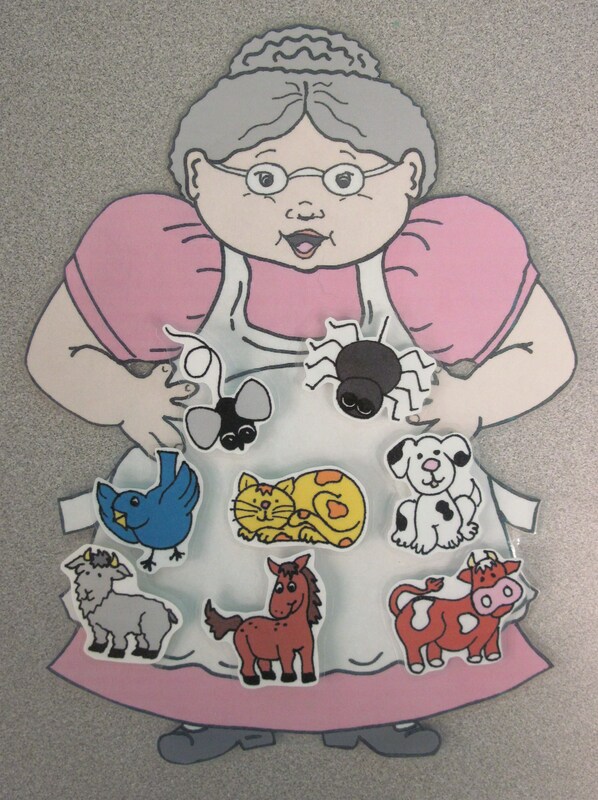 She swallowed the goat to catch the dog…..
She swallowed the cow to catch the goat…..
**If you’d rather read a book than sing this one, Simms Taback has a version with amazing illustrations. Be warned that this is the original version of the song with the old lady dying at the end! Another winner from Carole Peterson. Her version of “Shoo Fly” is a fun action song that will have kids up clapping hands, stomping feet, jumping up and down, twirling around, and sitting like a pretzel. Humorous rhyming text and amusing illustrations make this an excellent choice for a read-aloud. It’s also easy to skip a few pages if your group is squirmy by the time you reach this book. 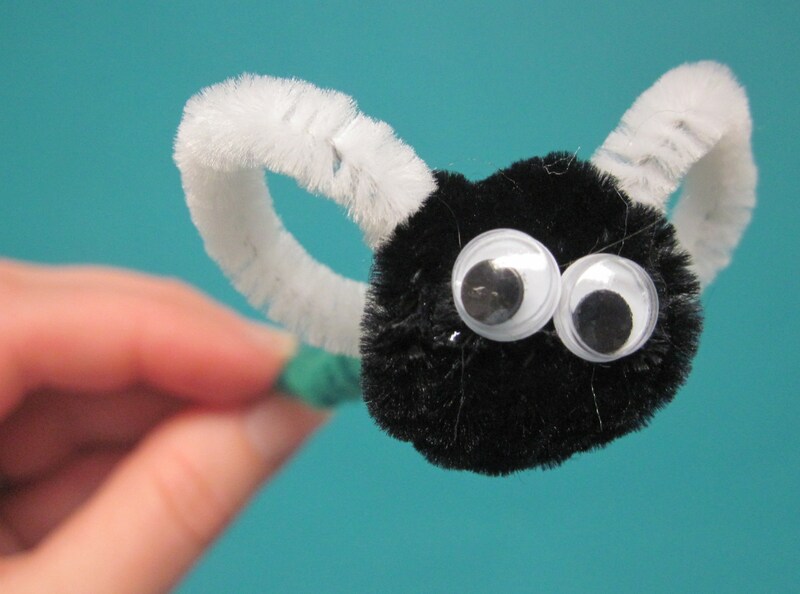 CRAFT: Instead of a craft, I sent everyone home with the chenille stick fly puppets and words to all of the songs. Love the way you adjust lyrics (your’s are so subtle, but spot on) – I do it too! This is sooo cute Leah! Oooh, the googly eyes are a great idea! Thanks – the children really did love them. And thank you for sharing your wonderful ideas! I wouldn’t have had a storytime this week without them!